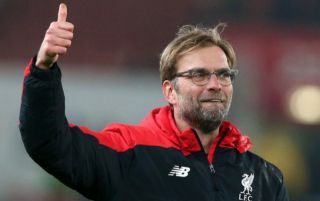 Liverpool boss Jurgen Klopp revealed that his team targeted the left-hand side of PSG’s defence to keep Neymar quiet in the Champions League. The Reds earned a hard-fought 3-2 victory against the French champions in their Group C European Cup opener on Tuesday night, thanks to goals from Daniel Sturridge, James Milner and Roberto Firmino. Sturridge opened the scoring on the half-hour mark, heading home a pinpoint Andrew Robertson cross before Milner added a second six minutes later from the penalty spot. Thomas Meunier got one back for the Parisians just before half-time and the scoreline remained at 2-1 until the 83rd minute, when Kylian Mbappe struck to level things up after Mohamed Salah gave the ball away in midfield. Firmino was introduced to the action late on and he had the final say on proceedings, scoring the decisive goal in added time to secure the three points for last year’s finalists. One man who stood on the periphery of the action all night was Brazilian superstar Neymar, who was unable to influence the game out wide on the left for Thomas Tuchel’s side. “We needed all our focus. We did really well. We covered a lot of yards and closed gaps. Liverpool have now won all six of their games at the start of the new campaign and look well placed to mount a strong challenge for silverware on all fronts. They will fear no one after this latest result, with Southampton up next for the Reds on Saturday at Anfield in their next Premier League clash. Supporters will be expecting another win to complete a great week for the club as Klopp’s men continue to set the standard in the early stages of the new season.